The battle has begun. There is no more running away or trying to hide. The survivors confront their attackers head on, both human and otherwise. As the mystery starts to unravel surrounding the man in the pin-striped suit, can our heroes stop him in time? 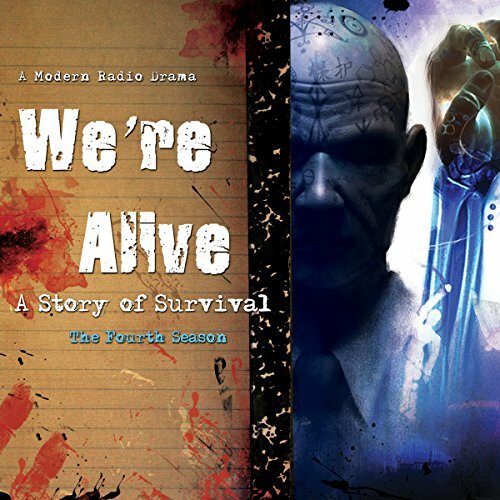 We're Alive: A Story of Survival, the Fourth Season, the final season, features 12 chapters packed with performances and sound effects that rival movies and prove that modern audio drama is undead and well. Join our survivors as they band together and discover that zombies are far from the worst thing in a post-apocalyptic world where the rules of human decency no longer apply.